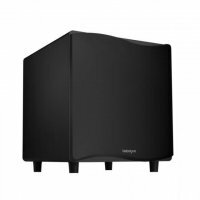 Fitting flush into a stud wall and incorporating a sealed cabinet, the Velodyne SC-600 IW In-Wall subwoofer delivers tight, dynamic bass for music and home theatre in an aesthetically pleasing package. 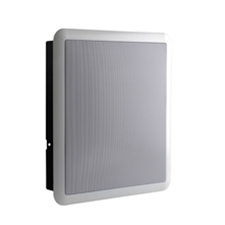 Allowing easy retrofit or new construction installation. 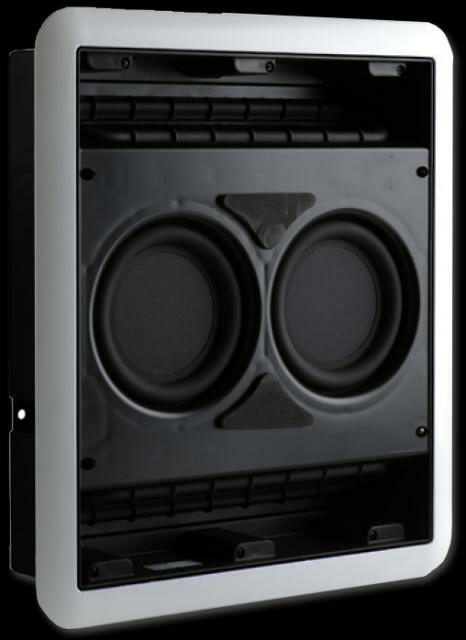 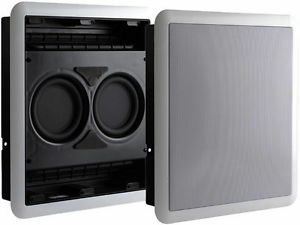 It encompasses a unique triple vector design, with twin active 6.5" long-throw drivers, twin custom passive radiators firing at 45 degrees to the drivers, and a sealed design without need for a separate back-box that maximizes excursion within the wall cavity but reduces wall vibration by 50% when comared with other in-wall subwoofers. 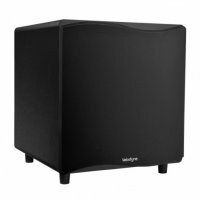 ........ and being from the renowned Sub-Woofer powerhouse Velodyne, you'll be extremely impressed with its performance whilst minimising visible technology for an architecturally clean minimalist feel to your room.